Bees are one of nature’s most prolific pollinators. It is estimated that a single bee, at the peak of its performance, can visit literally thousands of wild and cultivated flowers across an area spanning hundreds of miles. 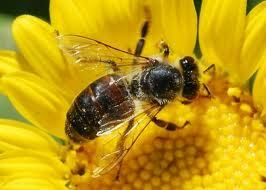 Bees are known for enhancing crop production as well as producing one of nature’s finest food products: honey. Bees don’t just produce honey, though – they also produce royal jelly (an energy-rich substance naturally produced by bees which is added to food supplements to enhance physical performance and maintain wellness). This entry was posted in Bees, Nature, Wildlife and tagged flowers. Bookmark the permalink.